Access to your business is a tricky thing. You need your employees to have free access to come and go, you need customers to feel welcome, but you also want to deter criminals from inviting themselves in. This is why security systems are necessary when it comes to keeping your business running smoothly and safely. Southwest Security understands that you can't do business without customers, but that there are criminals in the world, even here in the Land of Enchantment. Secure access is one of the features of a customized security system that we can help you attain. Door keys can be forgotten, lost or duplicated, but access codes to electronic door locks can be customized to allow employees in and keep criminals out. Not only does this keep your grounds secure, it provides a clear log of who is coming and going from the building at any point in the day. With camera monitoring on points of access, you can know and record exactly who is using what door. Protecting what matters most doesn't have to involve intimidating bars and gates; wireless cameras and sensors can give the same protection without making your customers feel unwelcome. You can't be at work 24/7, but we can be there for you. With our available remote access, you can login to our server and view video footage of your business at any time. If your employees need to come in for overtime, you have the ability to activate or deactivate the security system, allow entrance and know who it is that has used the back door. This allows you to regulate your business without needing to be present to do so. Secure access not only gives you the freedom to handle your responsibilities without needing to be present, it gives your employees the safety of knowing criminals can't get into the building unannounced. A safe workplace is a productive workplace where your business can thrive. Don't let worry about who is coming and going at your business keep you from focusing on details more important to your success. Let us provide you with the tools for secure access and free you to get back to handling your work. 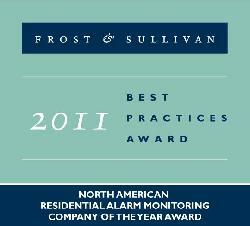 Contact Southwest Security today to begin your security system assessment. Call Southwest Security at (505) 440-9025 and take the guesswork out of who comes and goes from your business with a secure access security system.